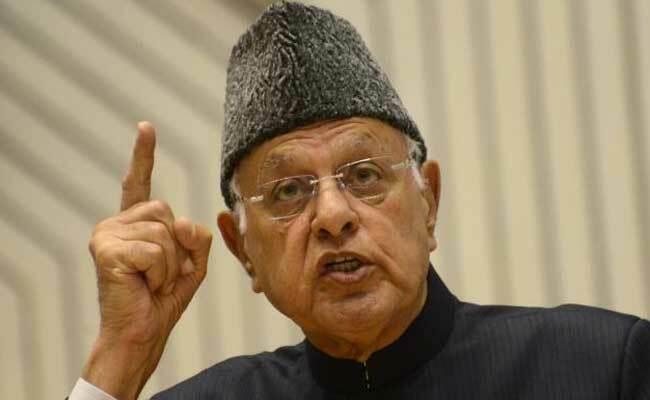 Expressing gratitude to the 128 countries that voted in favour of the resolution, Farooq Abdullah said India's support to the measure has upheld its considered, principled and independent stand on Palestine. Srinagar: National Conference president Farooq Abdullah said on Friday that India has upheld its independent stand on Palestine by voting in favour of the UN General Assembly resolution against the United States declaring Jerusalem as the capital of Israel. "I thank all countries that voted to support the resolution. The move to declare Jerusalem as the capital of Israel by the United States was an arbitrary, unjust and baseless move that defied history and tenets of justice," he said in a statement. "India, by voting in support of the resolution along with other countries, has upheld its considered and principled stand on Palestine." The NC president, also a Lok Sabha member from Srinagar, said no such steps that would hamper peace and stability in the Middle East and deprive the people of Palestine of their rights should be allowed. "India has traditionally and consistently considered East Jerusalem as the capital of Palestine and India's support to the UNGA resolution reaffirms that stand and commitment," Mr Abdullah added.